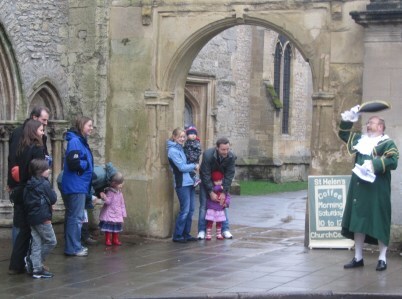 The slideshow – with music – is a roundup of Abingdon in February 2011 with some never seen before pictures. 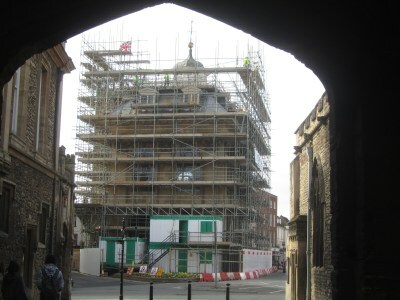 It is dominated by the growth of the scaffolding round the County Hall. 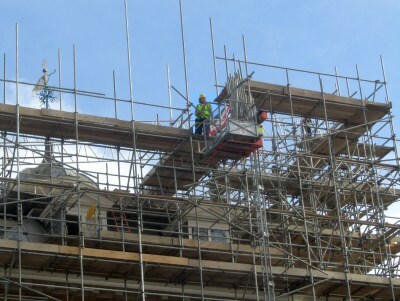 I have no idea how buns are going to be thrown through such scaffolding yet. I would imagine quite a few will rebound and hit the poor dignatories. 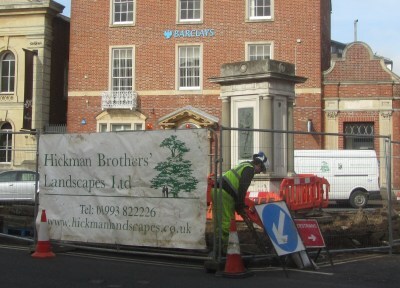 The war memorial was stabilised back in January, and a few days ago began the work of enhancing the area with paving, seats, and trees so that it will be a fitting tribute to those from Abingdon who have gave their lives for their country in conflicts overseas. 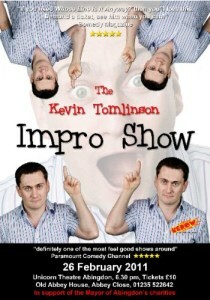 The Town Crier was out and about at 10:30 this morning advertising The Kevin Tomlinson Impro Show. 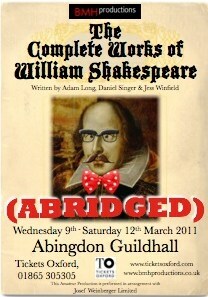 Kevin does a very good show and this time is raising money for the Mayor’s charity – Abingdon Bridge. I will probably go along and find it is sold out because you all got there before me. 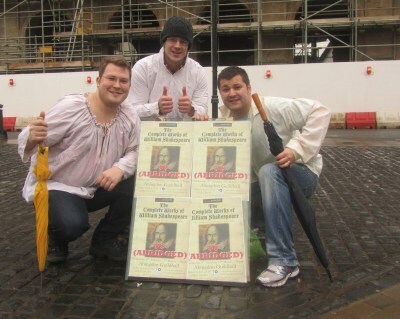 Tickets £10 from the Information Centre. 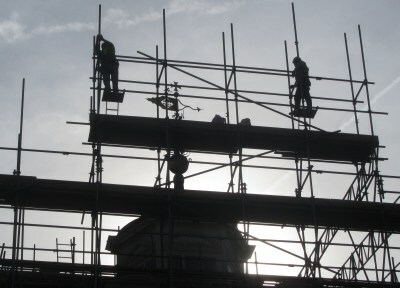 The scaffolding round the County Hall is going up another level. It must be fairly near the top. Gangways zig zag near where a lift brings scaffolding to the top. I could imagine the great Blondin, tightrope-walker, aerialist, and acrobat extraordinaire balancing upon the highest poles. 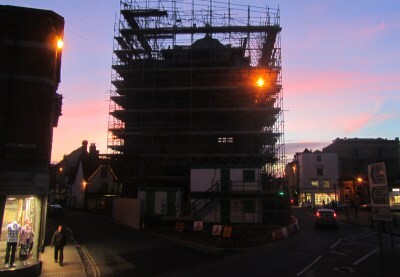 As nightfall falls there is still more scaffolding to erect tomorrow, when it could get even more extraordinaire. I was hoping for some sunny days during February in order to takes some good pictures for the end of Month blog slide show on Youtube. I have done three such slide shows. The one I like best is December 2010 thanks to the snow. 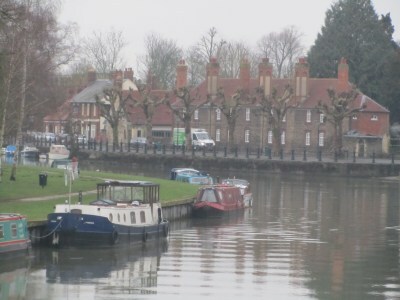 There is also the Abingdon Arts Festival Photography competition to think about. Closing date 5th March. All the entry information is here. I take a lot of pictures so it is very difficult to choose between them. 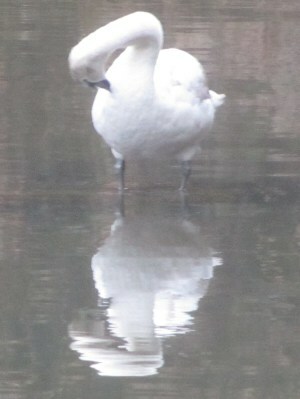 These two were from the other side of the River Thames. I started noticing the ripples caused by the water funelling through Abingdon Bridge. Even without sunshine it made a good effect.